Registration is now closed. If you are planning on attending and have not registered, you may register on-site. TMS understands that many organizations have limited budgets for travel and meeting attendance. 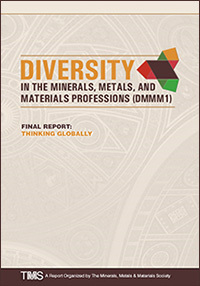 Use the following customizable letter to demonstrate to your supervisor the value of attending Diversity in the Minerals, Metals and Materials Professions 1 (DMMM1) and to request funding for travel and registration: Download Letter (Microsoft Word). 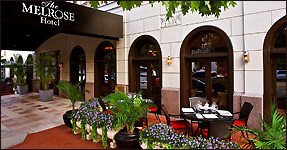 Enjoy an unparalleled lodging experience as a guest of this opulent hotel, which offers luxurious guest rooms and suites with black granite bathrooms, exceptional services including farm-to-fork cuisine at the Jardenea Restaurant, and an outstanding location near Georgetown in the heart of Washington D.C. Along with trendy boutique accommodations, they provide a huge selection of contemporary amenities, including high-speed Internet access, a modern fitness center and business center, meeting space for events and handcrafted cocktails at The Lounge. Requests for cancellations must be made in writing to TMS. A $75 processing fee is charged for all cancellations. No refunds will be processed after the registration deadline of June 28, 2014. By registering for the congress, all attendees acknowledge that they may be photographed by TMS personnel while at events and that those photos may be used for promotional purposes. TMS reserves the right to all audio and video reproductions of presentations at TMS sponsored meetings. Recording of sessions (audio, video, still photography, etc.) intended for personal use, distribution, publication, or copyright without the express written consent of TMS and the individual authors is strictly prohibited. Contact TMS Technical Programming at (724) 776-9000 to obtain a copy of the waiver release form.